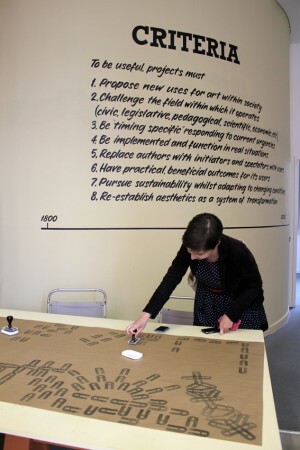 From 8th of November 2013 to 2nd February 2014 Grizedale Art’s ‘Office of Useful Art’ (or OUA) opened at Tate Liverpool as part of the exhibition ‘Art Turning Left: How Values Changed Making 1789–2013’. This was the first of several on-going manifestations that the OUA has had. Alistair Hudson describes: “The Office is part classroom part propaganda machine for the idea of Useful Art, promoting the concepts of Arte Útil and recruiting for the Association. 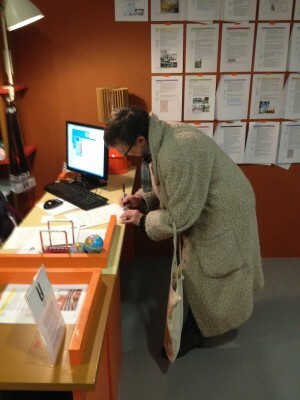 The OUA ran in parallel to the Museum of Arte Útil at the Van Abbemuseum Eindhoven. As such, the OUA at Tate Liverpool provided a complex, multi-purpose space in which ideas could be discussed and plans for future projects could begin to be hatched and materialized. As well as providing an open drop-in space for visitors to the ‘Art Turning Left Show’, the OUA also provided a bookable space for anybody to hold discussions, talks, interventions or re-thinks about the show and/or the possible use of art. 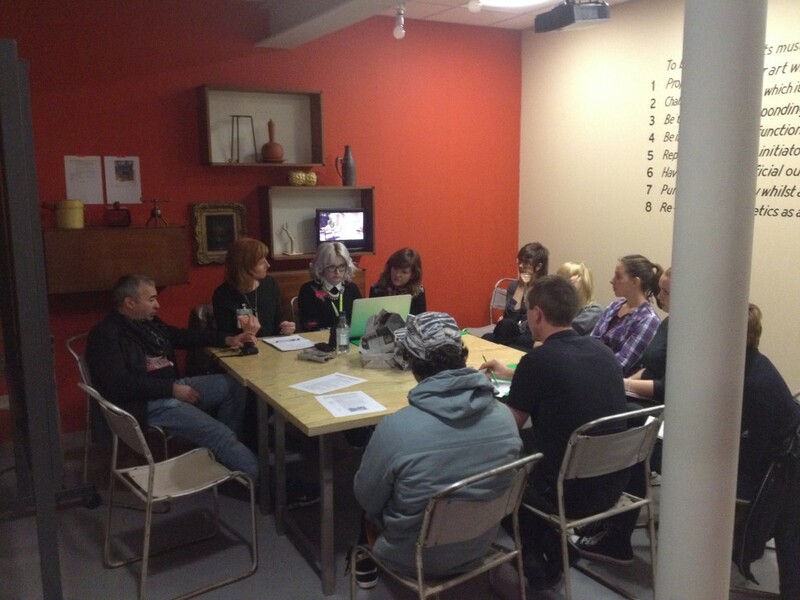 The OUA at Tate Liverpool also provided a very successful model for integrating students and staff within the infrastructure of a live show. Around 25 undergraduate BA (Hons) Fine Art students from Liverpool John Moores University signed up to work in the office and to recruit exhibition visitors to the Arte Útil Association. 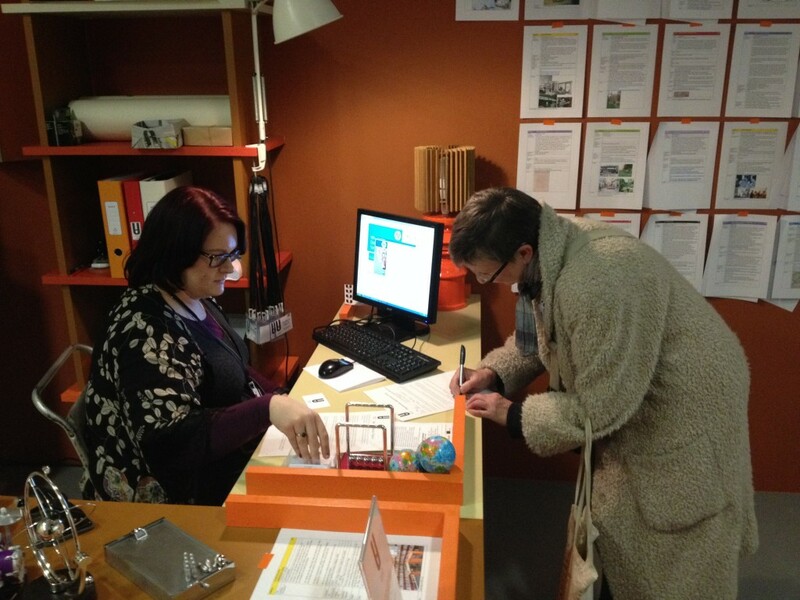 Tate staff themselves regularly used the Office for meetings ‘in public’ and engaging with their constituencies. It has had a marked effect of future planning, and strategy of Tate’s programmes. Regular meetings were held by community groups and the students held discussions with artists such as Chto Delat. This project was developed with Grizedale Arts as part of the five year ‘Uses of Art’ project with L’Internationale, a confederation of European museums and was made possible with the support of the Culture Fund of the European Union and Arts Council England.